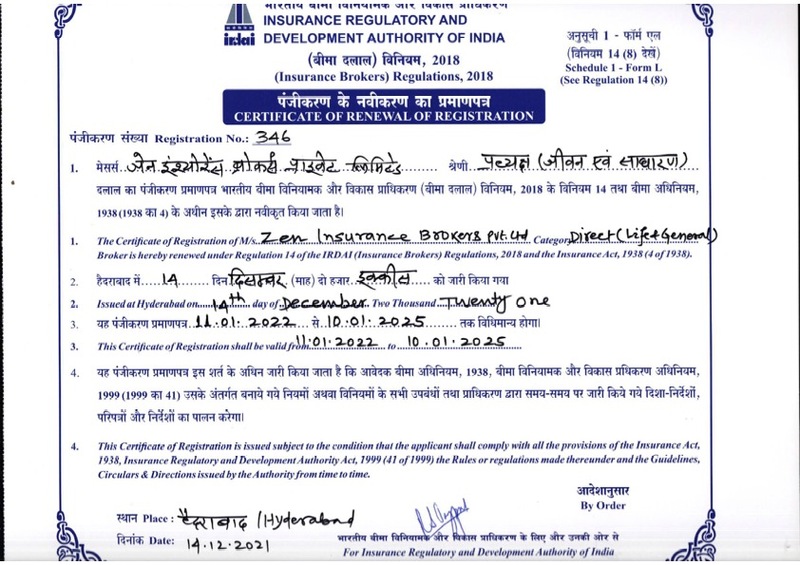 Zen Insurance Brokers Pvt. Ltd.
As a qualified insurance broker we understand that you will have to plan for the future, and need help to decide on the right insurance policies. It is observed that when buying insurance people do it without seeking proper advice or without considering whether they are getting value for money. Often they end up with cover they don't need and worse – without the cover they really do need. Whether its business, life, home or motor insurance, as qualified brokers we provide advice and assistance to make sure you are properly protected. Dealing with a broker doesn't necessarily cost more. Rather, it would cost less because they have knowledge of the insurance market and the ability to negotiate competitive premiums on your behalf. Which of those need insurance? What would be the cost of insurance? Special services like special risk management / risk audit services, technical advice, etc. At Zen insurance brokers we will help you decide on the insurance policy, ensure that your doubts are answered and clarifications are cleared. We list the various risk exposures of any business. After having identified & understood individual risk exposures we quantify it in monetary values. This will help us formulate an optimum risk strategy which shall be cost effective. We prefer to clearly understand the client’s requirements before proceeding on any transaction. Our approach to retail insurance is also systematic but without compromising on speed & service. Placement of business shall proceed only after a detailed risk analysis and a thorough financial planning exercise, if necessary. 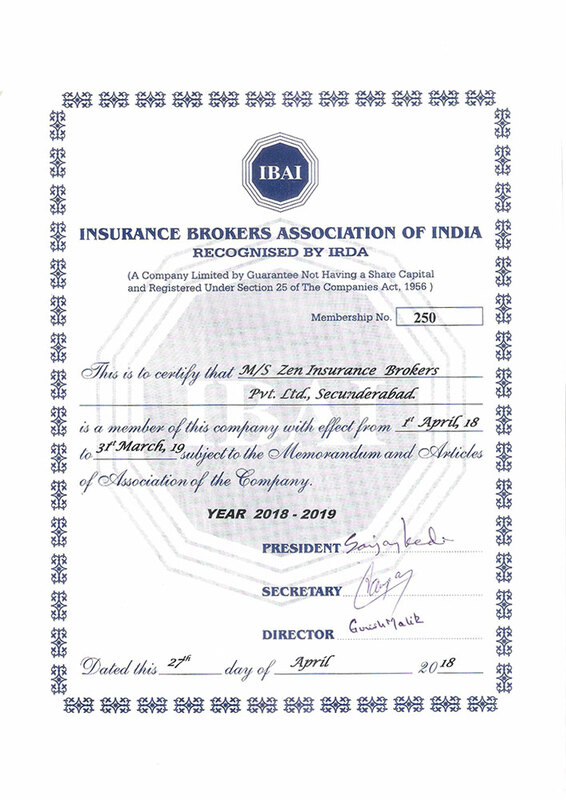 Zen Insurance Brokers Private Limited.